Early season action at Cairns Field, Saskatoon. 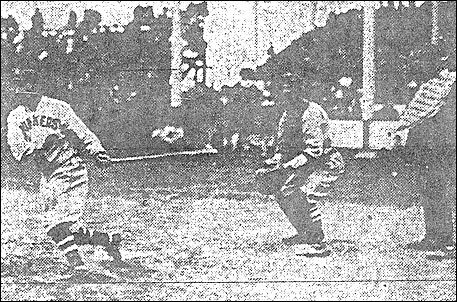 Above - Joe Collins sliding home to plate the game's first run at George Brautigam's single (below). The Moose Jaw catcher is Joe Wally. (Left) George Clink of the Regina Senators was among the top hurlers in the Western Canada League in 1919. The right-hander finished with a 13-8 won-lost record. He appeared in 23 games, 22 of them starts, and had 18 complete games. 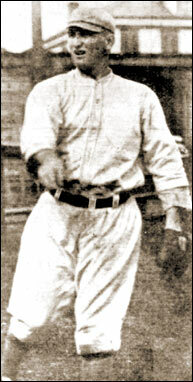 Clink pitched for the Vancouver Beavers of the Northwestern League in 1917 (when this photo was taken). The Northwestern League included clubs from Butte, Great Falls, Seattle, Spokane and Tacoma. Above right - Luke Glaven who played early in the season with the Moose Jaw Robin Hoods then pitched for at least three semi-pro teams in Alberta, Barons, Oyen and the Nick Williams All-Stars. He was 2-2 with a .333 batting average in 12 games with Moose Jaw and was an outstanding pitcher and hitter for the semi-pro clubs. 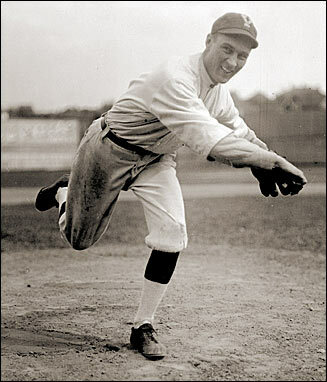 Glaven, under the name Glavenich had, in 1914, pitched in one game in the major leagues with the Cleveland Indians. 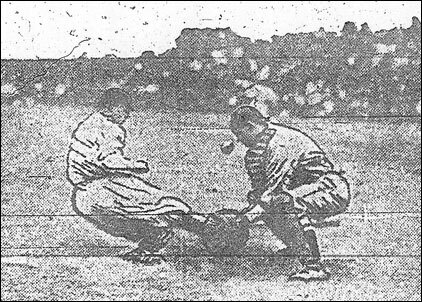 Glavenich, like Frank Juney his teammate in Alberta in 1919, was a product of St. Mary's College in California.